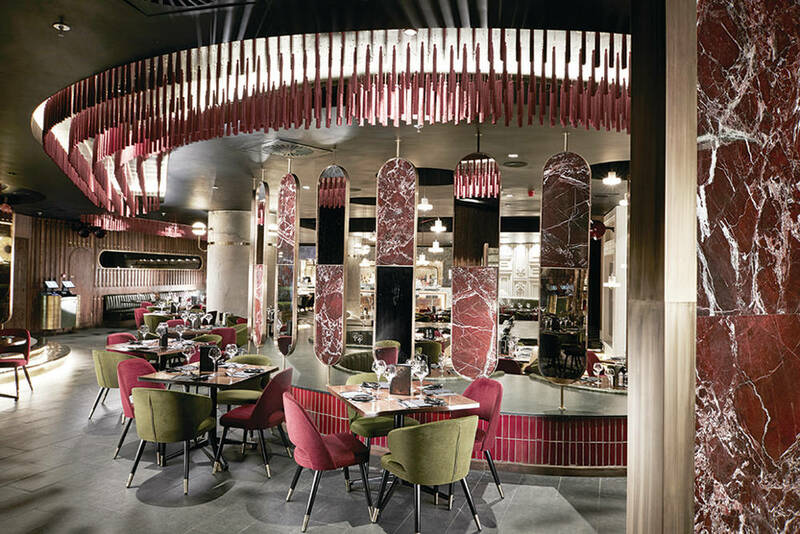 Located on the ground floor of the Sandton Sun, walking into Alice & Fifth is like walking through Alice’s looking glass, into a complete reinvention of its previous incarnation as Vilamoura restaurant that closed its doors five years ago. Now, guests enter the space through a velvet curtain and down a narrow corridor framed with ornate wood panelling, where they’re greeted with a bar, restaurant, immersive theatre venue and nightclub, all rolled into one. 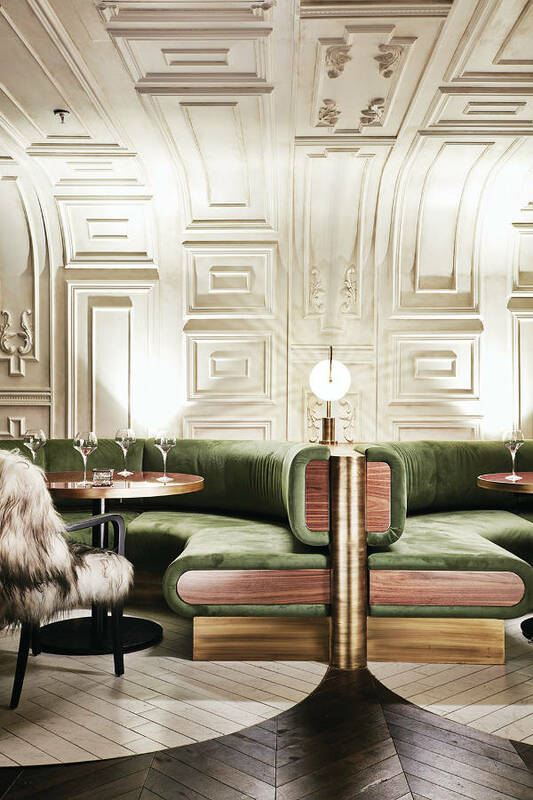 The venue is a take on the Uptown New York of the Prohibition era, with a luxuriously retro feel embodied in its mix of wood, brass, marble, plush leather and velvet. “It’s inspired by the glamour of the Lido in Paris and the Lío in Ibiza,” says front of house manager Natalie Zalniker of Alice & Fifth’s overall cabaret club concept. Nightly performances include everything from burlesque dancers and contortionist acts to live comedy and jazz, performed from Tuesdays to Saturdays every week. All this happens in and around the 160-seater restaurant, which features a menu created by head chef team Jacques Cronje and Justine Joseph of the Milk & Honey bar group. To complement the food, the bar’s cocktail creations range from the quirky to the sophisticated and could be straight out of the Mad Hatter’s Tea Party – think cocktails served out of lamps and lightbulbs, in bird cages and out of silver teapots. Through an interleading entrance is the cigar bar, with a premium bottle service area containing 66 engraved lockers in which members can store their premium spirits throughout the year. Member’s evenings are every Monday, and the white-gloved service is all about opulence in a private and exclusive setting. The cigar bar leads on to Luna, the venue’s soon-to-be-launched niche nightclub. Its sophisticated loungy feel will cater to a high-end clientele, complete with a separate VIP entrance, VVIP room (fitted with one-way glass), and state-of-the-art lighting and sound. Thanks to the versatile layout, Alice & Fifth also suits private functions like concerts and parties. It’s hidden and mysterious, representing Joburg’s obsession with the new. Promotion of the new venue has been minimal on social media and paid media; for now, it’s largely about word of mouth. For Joburg’s high rollers, that’s exactly how they’d prefer it to be.